Hugh’s fish fight is a campaign I started following a long time ago, even before I got to know local fisherman and fishmongers or got involved with the Menai Seafood Festival. My love of all seafood is no secret, and I regularly tell people about it from the stage at various food festivals. But I do think very carefully about what I buy and eat and I would certainly think twice about eating in a restaurant that serves endangered species. A couple of years back I visited Nobu with a friend. The menu horrified me. That visit was definitely my last, even if their black cod is to die for! I used to keep a close eye on websites such as FishOnline which gives great advice on what to eat and fish2fork which suggests sustainable alternatives to the those under threat. These days though I am more knowledgeable, usually go for local alternatives and if in doubt follow the advice of my fish monger (I highly recommend Wayne or Malcolm at Mermaid Seafood, Llandudno). I eat a lot more fish at home now; the teen is rarely here these days but has started eating fish again and fish cakes are big on the OK-to-eat list. 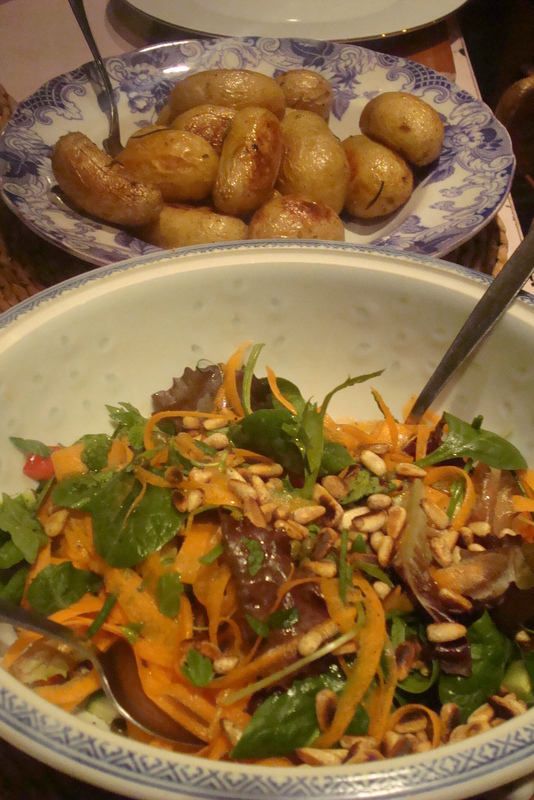 I’d based the previous incarnation of this dish on a recipe from Jamie’s 30 minute meals . His recipe called for fresh tuna, salmon and haddock. I replaced the haddock with pouting; a member of the cod family which is much cheaper and more sustainable, my salmon was organic farmed atlantic salmon (wild caught atlantic salmon are now not sustainable) but you could use MSC certified pacific salmon. The tuna I replaced with a tin. Pole & line caught skipjack tuna is sustainable and considerably cheaper. This new and updated recipe uses grey mullet (a native fish) and farmed salmon again. In this version I omitted the tuna entirely, replaced the gluten part with porridge oats and gluten-free flour and instead of serving with a dollop of horseradish cream, baby potatoes roasted with herbs and a big lemon dressed salad, I made a fresh chilli salsa and used a garlic aioli to top. 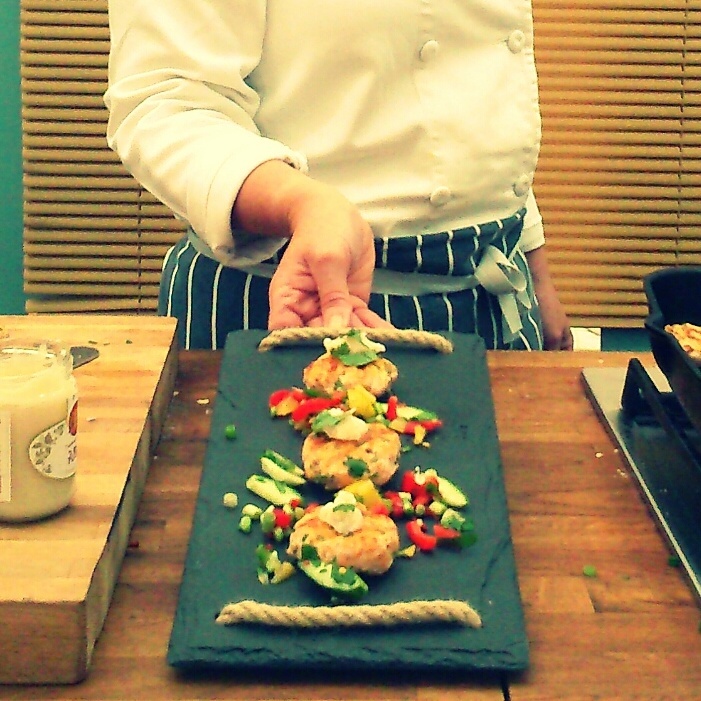 Scandinavian style fish cakes: makes six medium-sized cakes..or quite a few little ones! Put the fish into a food processor and blitz with the parsley and lemon zest. Add oats, flour, egg white salt, pepper and a squeeze of lemon and pulse a few times until coarsely mixed. Add the carrot and pulse again until roughly mixed. Dust hands with gluten-free flour and form the mixture into 6 patties or lots of small cakes. Put a griddle pan on to heat with a drizzle of olive, rapeseed or sunflower oil to coat lightly. Slice a small clove of garlic and throw in to the pan. 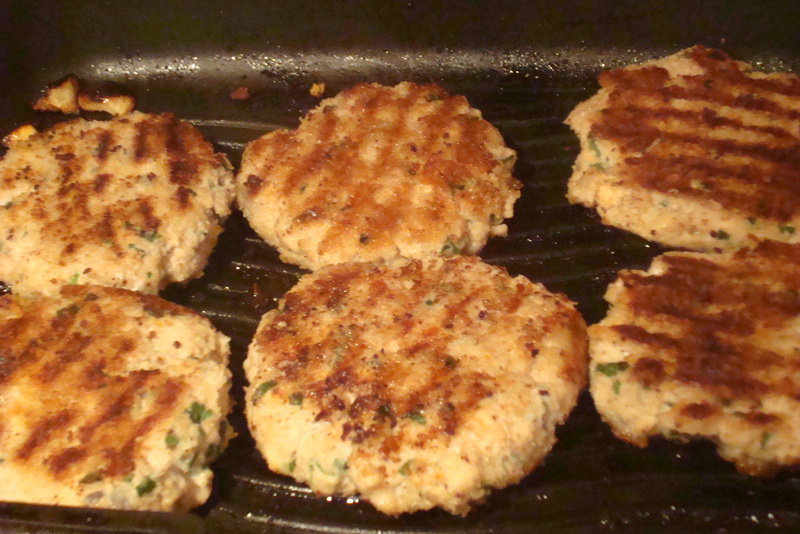 When it begins to sizzle place your fish cakes on the pan and leave to cook for about six or seven minutes. Turn over with a flat spatula and cook for the same amount of time on the second side. Roast in a preheated oven, 190 degrees for about 50 minutes, or until golden and crispy on the outside and soft when pierced with a skewer. Finely chop the chilli (removing the seeds) and put in a mixing bowl. Take care to wash your hands well afterwards. Finely chop the spring onions, parsley and herbs and add to the bowl. Scoop the seeds out of the tomatoes and discard. Dice the flesh and add to the bowl. Remove the seeds from the cucumber and dice and do the same with the red pepper. Dice the avocado if using. Add a splash of red wine vinegar and season with sea salt. 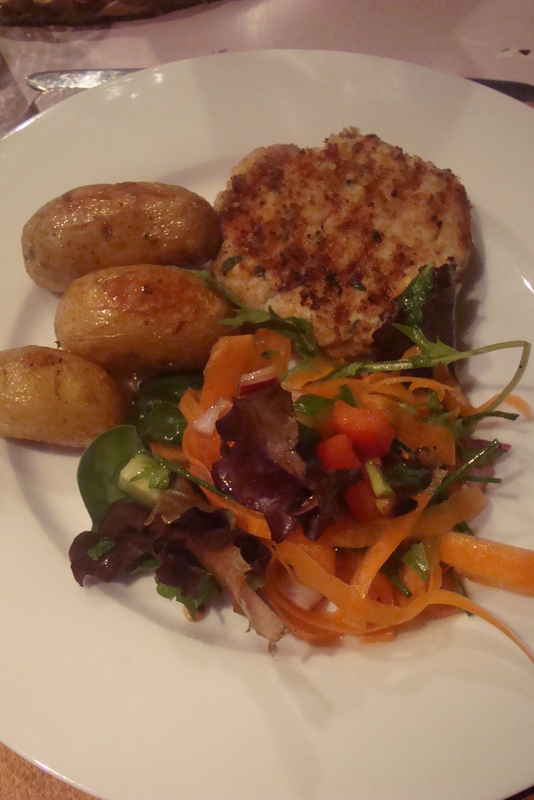 Taste and serve on the side with the fish cakes.